Gutters protect the perimeter of a house by channeling rain water and melting snow away from the foundation, landscaping, walls, windows and doors. The excessive water that pools on the ground can saturate and deteriorate the foundation, seep into the basement or crawl space, and crack sidewalks and driveways in freezing temperatures. Gutters help prevent leaks in the roof, mold and mildew. 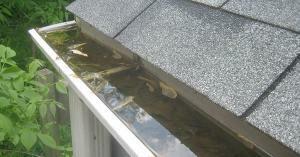 Clogged gutters can cause stains, as well as rot exteriors and fascia. Leaves are the most common clogging materials, but dry pine needles in areas near pine trees can build up as well, which are highly flammable and a major hazard. Stagnant water in gutters due to clogs can become a breeding area for mosquitoes, earwigs and other pests which can lead to a variety of new issues. How Do I Prevent Clogs? Xtreme Gutter Guards are mesh covers that protect gutters from leaves, twigs, pine needles, oak tassels, shingle grit and other minuscule debris that may cause clogging. They are made in the USA and have an exclusive patented hemming process that keeps the mesh tight; Meaning they won’t sag or separate. There is also a 20 year warranty! Maintain a free flow of rainwater or melting snow while blocking virtually everything from entering and clogging your gutters. 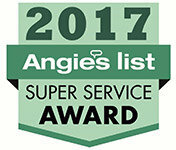 Schedule an appointment with A&D Exteriors or send us a message and let us know how we can help!